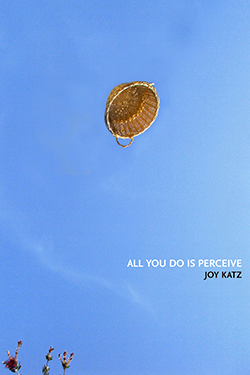 Joy Katz’s second collection explores the ecstatic, shifting, often disturbing consciousness of household objects—linen closets, unmade beds, ceilings. 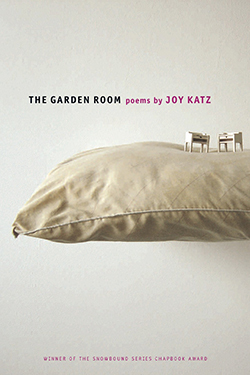 Color becomes an inhalable ether; a junk drawer barks, then ticks like a bomb; a desk longs for the gravitas of “heavy telephones.” The book, itself an act of dwelling, is by turns nervous, serene, funny, and elegiac. 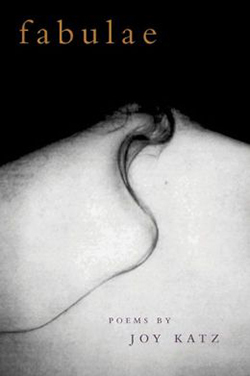 Too many amazing poems end up overlooked by the academy and excluded from the canon, remaining largely unknown to readers of poetry. 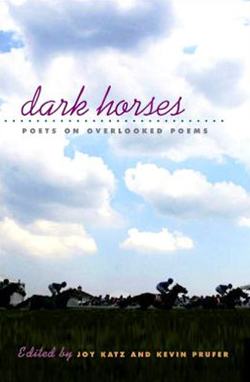 Dark Horses rediscovers dozens of these poems and illuminates their power via passionate essays by 75 American poets including John Ashbery, Susan Wheeler, C.K. Williams, Wanda Coleman, and D.A. Powell.